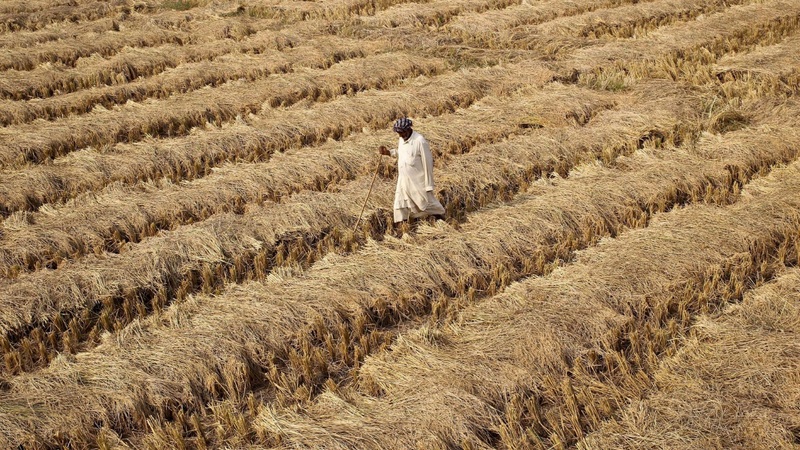 While the average income for a farming household has increased to Rs 8,931, 50% of all households earned less than Rs 5,500 per month and more than 50% households remain indebted. This is part one of a two-part series that critically analyses NABARD’s financial inclusion survey. Read part two here. 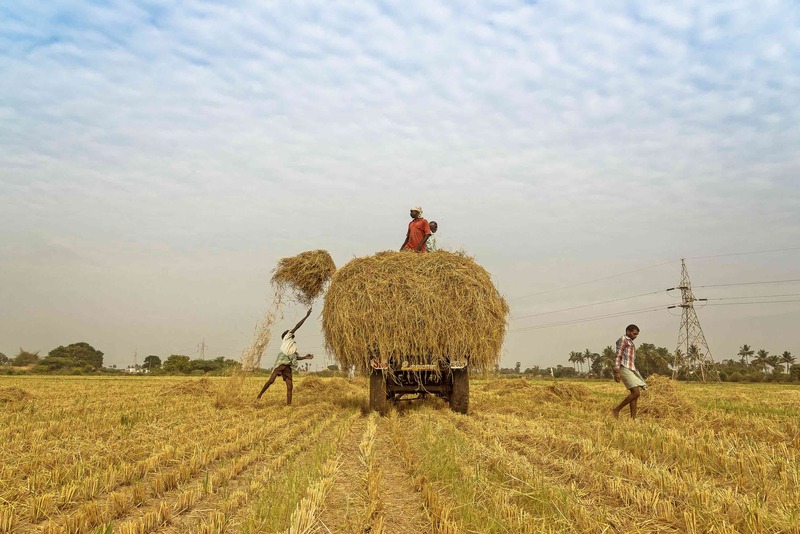 On August 16, the vice-chairman of Niti Aayog released NABARD’s All India Rural Financial Inclusion Survey, appropriately named ‘NAFIS’, which in Urdu means decent. NABARD management has truly acted ‘NAFIS’ by commissioning this detailed survey and then publishing its finding rather quickly. The survey was conducted between January 2017 and June 2017, covering 40,327 households in 245 districts spread across 29 states. The reference period for agriculture related data was from July 1, 2015 to June 30, 2016 (agriculture year, AY, 2015-16). In its survey, NAFIS includes semi-urban places having a population of up to 50,000. At an all India level, NAFIS sample of households includes 84% rural and 16% urban households. But in several states, semi-urban households had a higher ratio (Kerala 57% and Tamil Nadu 40%). NAFIS defines an agricultural household as one that received value of produce exceeding Rs 5,000 during FY 2016 from agricultural activities. Other households were classified as non-agri households. The National Sample Survey Office (NSSO), Ministry of Statistics and Programme Implementation, conducted a Situation Assessment Survey of Agricultural Households (SAS) in its 70th round (January – December, 2013). Data was collected from 4,529 villages in 35,200 households and it was published in December 2014 as ‘Key Indicators of Situation of Agricultural Households in India’. Semi urban areas were not included in this survey and an agricultural household was defined as one that had received Rs 3,000 as value of annual agricultural produce. It is clear that the two surveys are not entirely similar and as compared to SAS, NAFIS may have overstated the income of households because its level of threshold income to be categorised as an agricultural household is 67% higher than under the NSSO survey. NAFIS finds that the monthly income of agricultural households in AY 2016 was Rs 8,931. 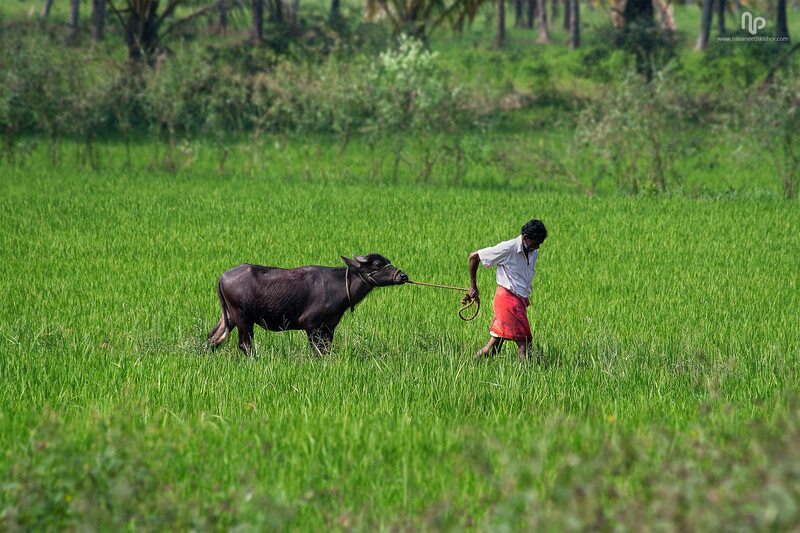 As per SAS, average monthly income of an agricultural household in January-December 2013 was Rs 6,426. Based on this data, a government committee on doubling of farm income (Dalwai Committee) calculated that an average agri-household earned Rs 8,059 in 2015-16. Even though SAS and NAFIS data are not comparable, there is an impressive increase of 39% in nominal income of agri-households between 2012-13 and 2015-16. This is even before the government’s implementation of new schemes of crop insurance (Pradhan Mantri Fasal Bima Yojana), e-NAM, soil health cards, Pradhan Mantri Krishi Sinchai Yojana and announcement of substantial hike in MSPs (in Kharif 2018). The data of income for states presents an even more positive outlook. In the three-year period, nominal monthly income of agri-households in Bihar increased from Rs 3,558 to Rs 7,175 (an increase of 101.6%) and in West Bengal from Rs 3,980 to Rs 7,756 in WB (increase of 94.9%). However, the income in J&K decreased from Rs 12,683 to Rs 9,355 per month, perhaps due to floods in September-October 2014. It is possible that agri-households in WB, a top performing state under MNREGS, may have earned relatively higher income from wages under the scheme. But Bihar continues to perform poorly under MNREGS and agri-households may have found employment in other states, which may have contributed to such a high increase in three years. In any case, wages under MNREGS in Bihar and WB in 2018-19 are Rs 168 and Rs 191 respectively, while the minimum wage fixed by these states are Rs 237 and Rs 234 respectively. NAFIS has not provided segregated data of source of income of households for each state. Therefore, the real drivers of high growth in income of farmers in Bihar and WB remain unexplored. To get a fair sense of what is driving the income of agri-households in various states, we may have to wait for the next SAS and NAFIS, which will capture the data for AY 2018-19. One hopes that both the organisations will not change the methodology for collection of data so that actual progress in agriculture and in rural economy can be analysed. NAFIS also provides information on distribution of households by monthly income. 50% of all households (in rural and semi-urban areas surveyed) earned less than Rs 5,500 per month in 2015-16. This low level of income confirms the impoverishment of rural areas and the urgency of increasing their income from sources other than cultivation of crops. The survey also shows that smaller the size of landholding in the household, larger is the share of income from livestock rearing. With rising incidents of violence against traders of animals, there is every possibility that future surveys of NSSO and NAFIS may show a decline in income from rearing of animals. It is likely to affect small and marginal farmers and landless households more adversely than other households. This survey, like SAS earlier, confirms that wage labour provided 34% of income of agri-households. In case of marginal farmers, the share of wage labour was more than 40%. In case of non-agri households, 54% of income came from wage labour. It is clear that generating employment in labour intensive sectors like agro industries, construction and textiles is crucial for increasing the income of rural and semi-urban households. The downturn in construction industry would have hit the income of both agri and non-agri households and is likely to reflect in subsequent surveys. The NAFIS data on household savings is not only surprising but also reassuring. About 55% of agri-households informed that they had saved money in the previous year. The north-eastern states showed higher level of savings with more than 90% households confirming that they had saved. Surprisingly only 21% households in Punjab and 23% households in Haryana mentioned any savings. It is surprising that the states having highest income are saving the least. It is however heartening that 94% savings are in institutional agencies. Out of annual income of Rs 1.07 lakh, the agri-households saved Rs 9,657 which is a handsome 9% of annual income. Poor households in rural India are thus setting an example for showing a mirror to much better off urban India! Another important finding of the survey is high level of indebtedness (defined as presence of any outstanding loan). Similar to level of indebtedness in SAS, about half (52.5%) of agri-households confirmed in NAFIS also that they were indebted. The level of indebtedness rose with the size of landholding in the household. Bihar (48%) and WB (37%) show much lower level of indebtedness than AP (76%) and Telangana (79%). Thus the correlation between indebtedness and suicides is rather clearly established. It is, however, a matter of further research why agri-households in these two states are so highly indebted. NAFIS has provided new insights into the conditions of households in rural and semi-urban areas which would be useful to policy makers in addressing specific challenges in various states. The data again proves that state specific policies are required to enable agri and non-agri households in rural and semi-urban India earn a decent income. 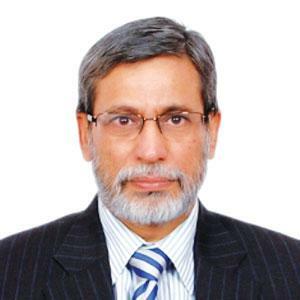 Siraj Hussain is former secretary of Agriculture and Farmers’ Welfare (GoI) and currently visiting senior fellow at ICRIER.